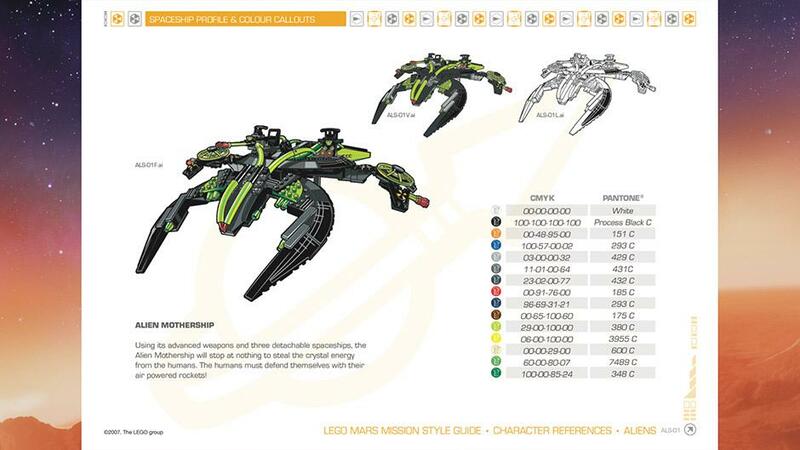 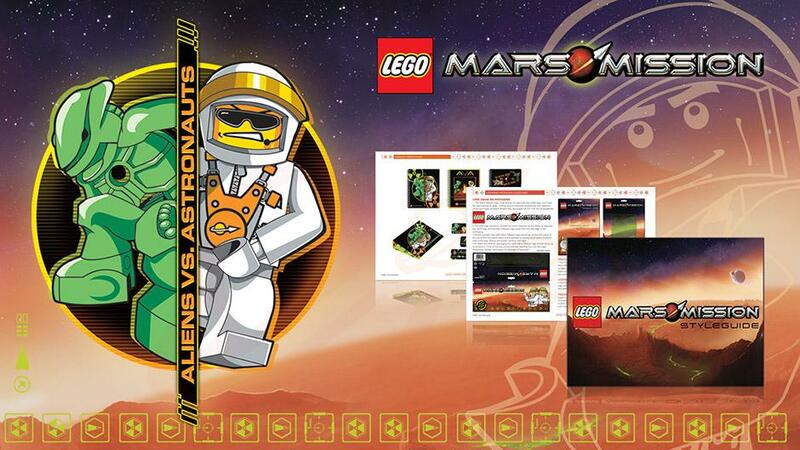 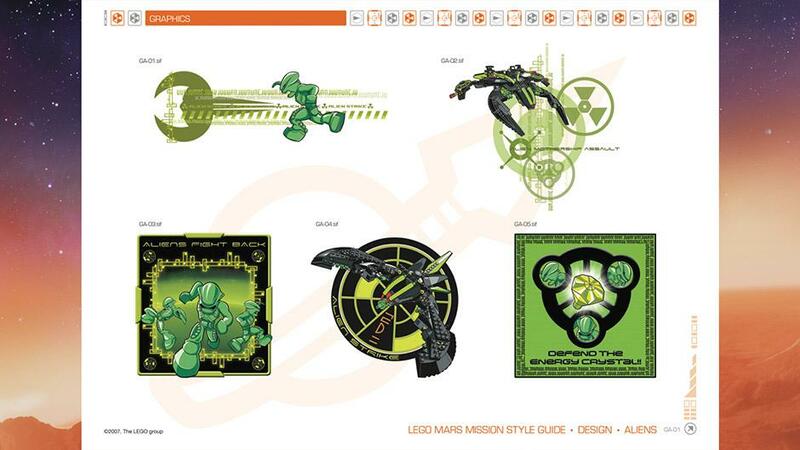 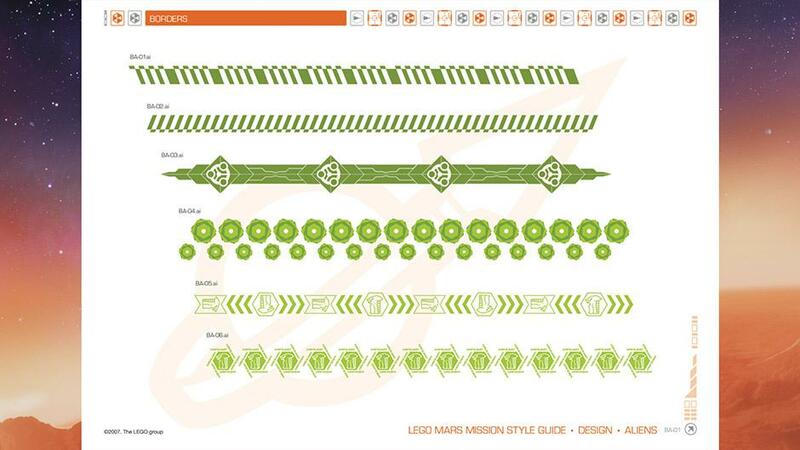 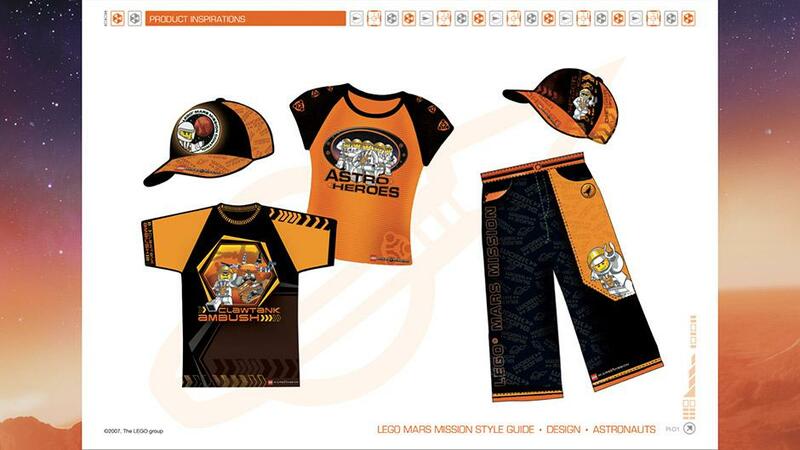 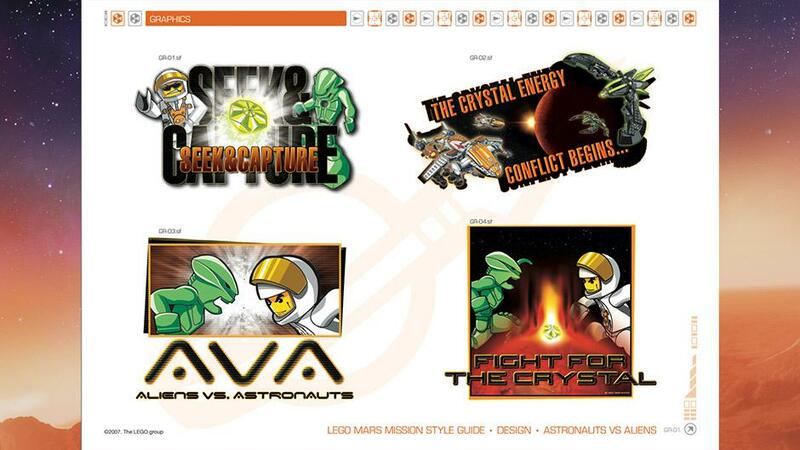 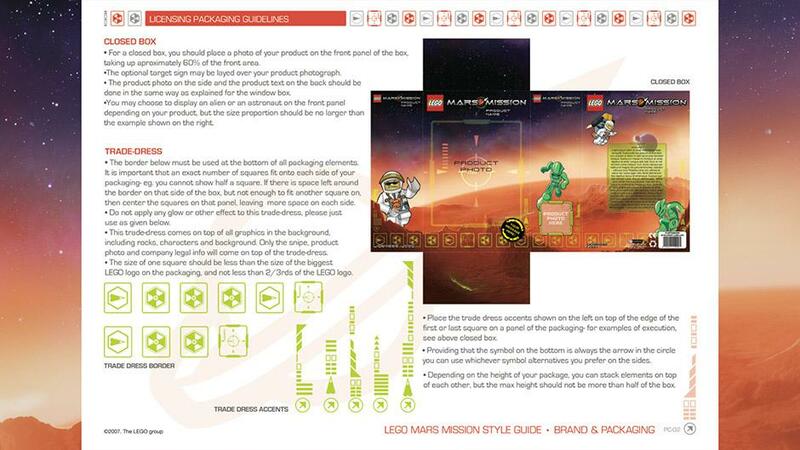 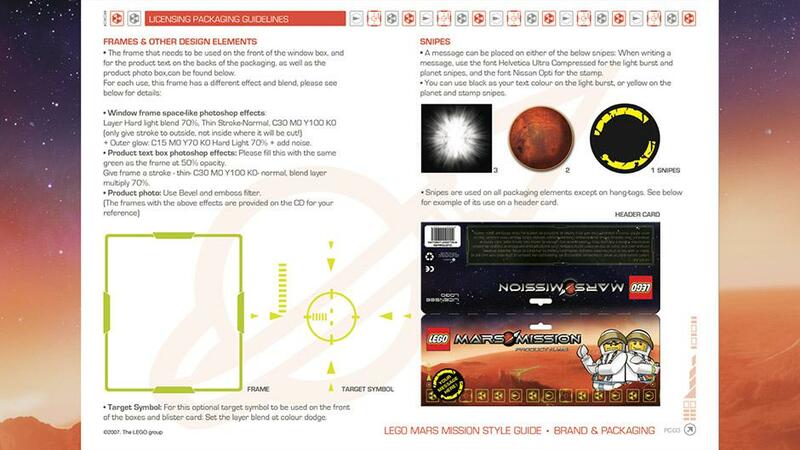 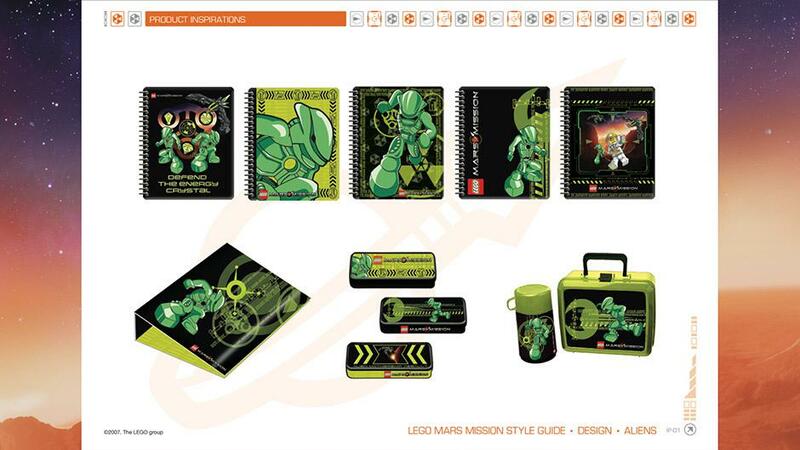 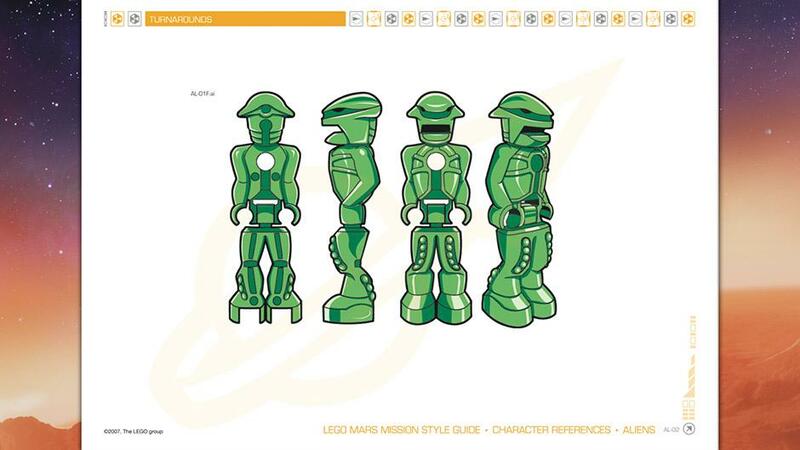 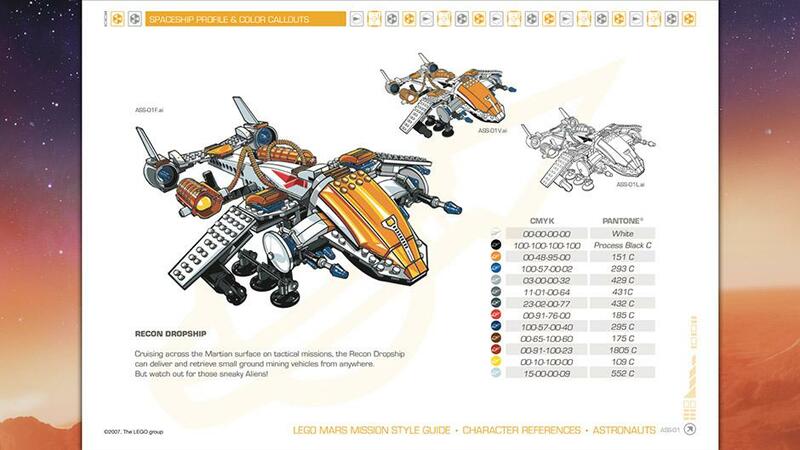 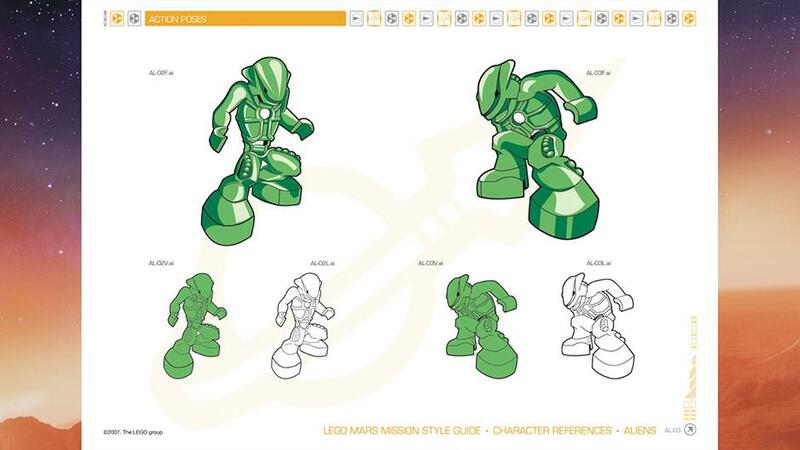 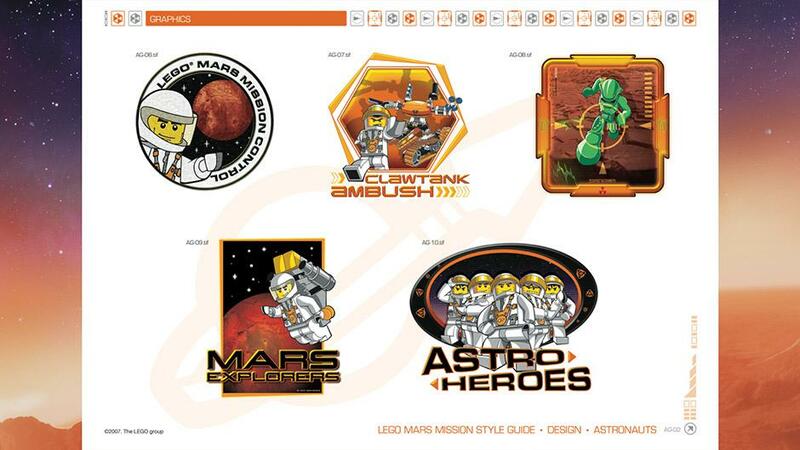 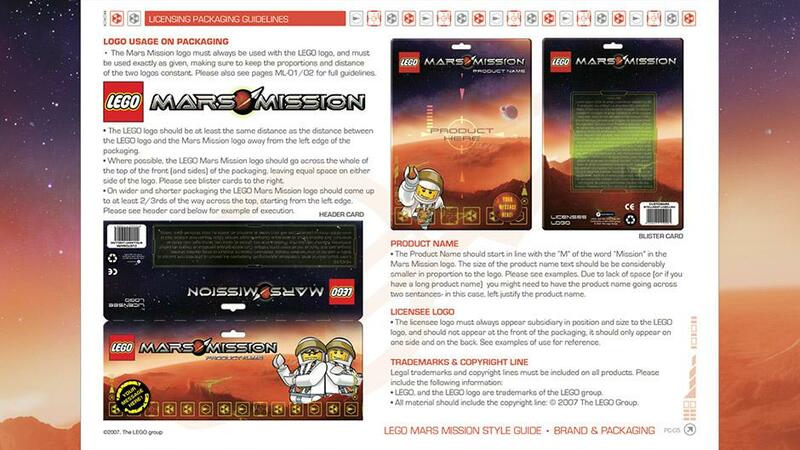 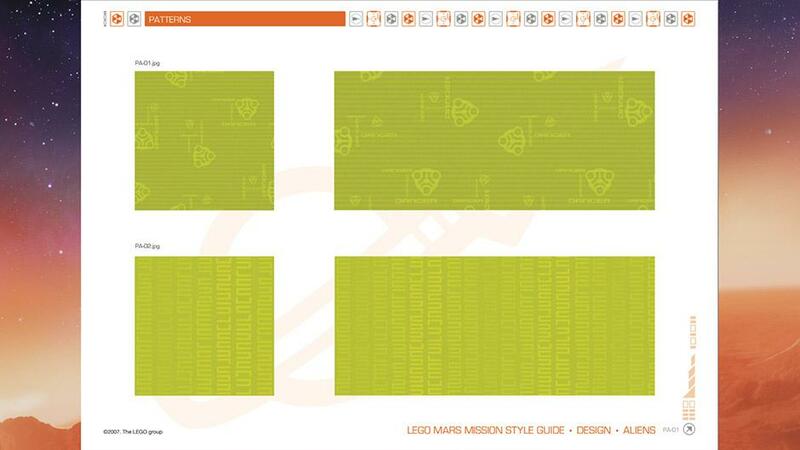 LEGO MARS MISSION Style Guide After the success of all the Bionicle guides we created for LEGO, they commissioned us to create a style guide for their Mars Mission property. 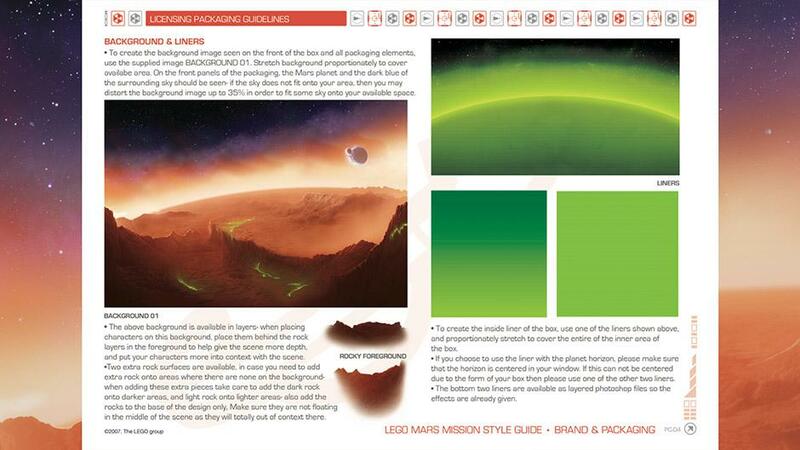 This property is about aliens battling it out with astronauts, for a powerful gem that the aliens want to mine. 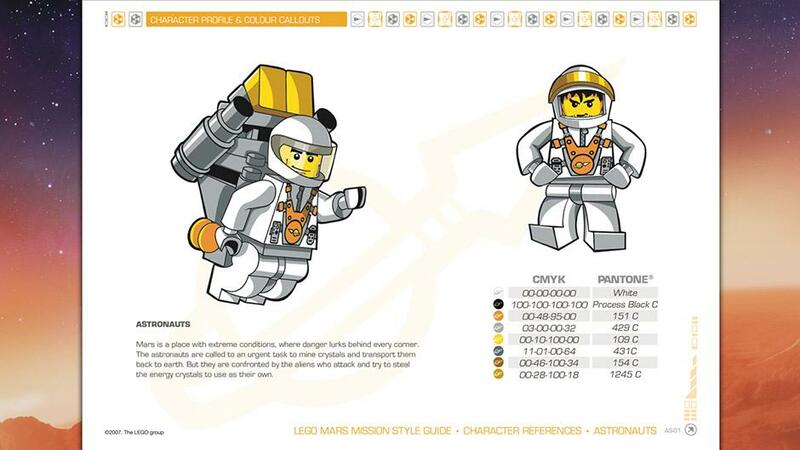 LEGO gave us free-reign with this guide, they provided the toys themselves, and left us to dramatise them, create visually effective and cool character art poses and vehicle illustrations, as well as to create 3 themes; aliens, astronauts and aliens v astronauts, each with the own colour schemes and characteristic as well as product inspirations. 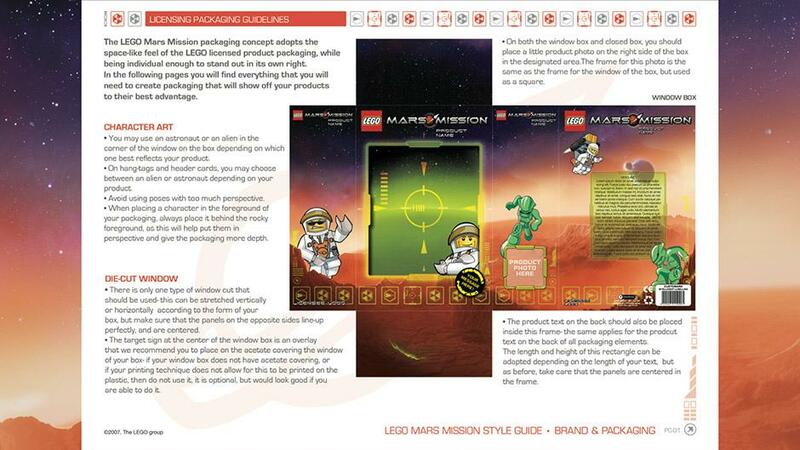 Of course we also created a complete brand and packaging section for this guide. 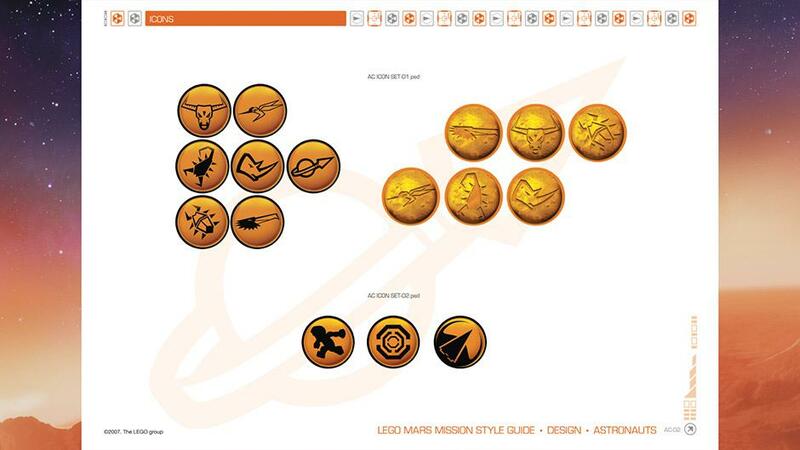 All character art and design created by Ulkutay.